Scared New Mum: A babys delicate skin. In the UK the NHS advises you not to use any oils and lotions on your baby’s skin until they are one month old. Bathing a baby isn’t exactly rocket science but it still amazes me how many new mothers are worried about the task. So here are my top tips on bathing your newborn and how to care for his/her sensitive skin. You don’t have to bath a baby everyday, but you should wash their face, neck, hands and bottom carefully each day. Nurses and Midwives call this ‘topping and tailing.’ It is best to choose a time when your baby is awake and content. Don’t bathe your baby straight after a feed or when they’re hungry or tired. Make sure the room is warm and get everything ready beforehand. You will need a bowl of warm water or a bay bath placed safely in a sink or adult bath, a towel, cotton wool, a fresh nappy and clean clothes. If your baby enjoys baths there is no reason why you can’t bathe them everyday. The water should be warm not hot. Use a bath thermometer (37 degrees celsius to 38 degrees celsius) or check with your wrist or elbow and mix the water well so there are no hot patches. 1) Undress your baby and remove nappy. Lay him/her on a changing mat to ‘top and tail’ wash as described above or support your baby with one hand in a baby bath. 2) Dip the cotton wool in water and wipe gently around your baby’s eyes from the nose outward, using a fresh piece of cotton wool for each eye. 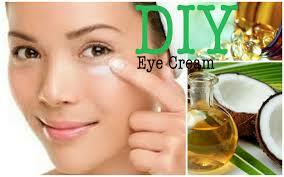 This is so that you don’t transfer any infection from one eye to another. 3) Next wash their hair with plain water, supporting them in the baby bath or over a bowl. 4) Use a fresh piece of cotton wool to clean around your baby’s ears, but not inside them. Never use cotton buds to clean inside your baby’s ears. Wash the rest of your baby’s face, neck and hands in the same way and dry them with a towel. 5) Wash your baby’s bottom and genital area with fresh cotton wool and warm water. Dry very carefully including between the skin folds. Hold baby with two hands and take him/her out of the baby bath. If top and tailing on changing mat leave baby where they are. Wrap in a baby towel and dry baby. Put on a clean nappy. 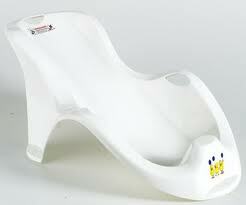 In the UK the NHS advises that it is ok to use baby products once your baby is one month old. 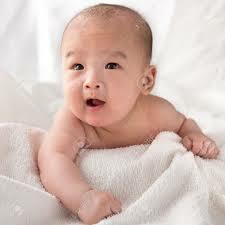 More and more we are being advised to use natural and chemical free products on our baby’s sensitive skin. So what should a new mother use you ask? Coconut oil for Baby’s Skin. Raw coconut oil with vitamin E can help nourish and protect the skin of your baby. Extracted from the raw meat of the coconut which is a natural, delicious smelling moisturiser that can be used in a variety of ways. Coconut oil is perfect for baby massage. After a bath is a good time to massage your baby. Massage has been proven to help a baby relax and sleep. I would recommend Waitrose baby solid coconut massage oil as it is made with the purest ingredients to help relax your baby and moisturise the skin. A combination of the comforting sweetness of vanilla and the tender massage can strengthen the bond between you and your baby. Coconut oil is a natural remedy for nappy rash. The oil has soothing and nourishing properties that help to heal your baby’s bottom without any irritation and itching and finally makes their skin smooth and shiny. Nappy rash is an uncomfortable rash that is caused by a yeast infection, acid in the stool, ammonia from urine or nappy material and also due to the warm, moist enclosed environment of the nappy. this is why it’s so important to keep this area dry and clean, also there should be some barrier to the faeces of the stool and the baby bottom to prevent the infection/rashes. Here coconut oil acts as a barrier to prevent the nappy rashes by making your baby skin smooth. Shea Butter is an all-natural vitamin A cream. It has a very high ‘healing action,’ up to 12% of the butter’s make-up (more than any other type of seed oil). These amazing healing properties have shown great success in treating various skin problems such as wrinkles, blemishes, skin allergies, eczema and other skin conditions. Shea Butter can be used when trading minor cuts, scrapes, and soothing sunburn. Shea butter also has the ability to reduce inflammation, which makes shea butter the premiere product to speed the healing of skin. 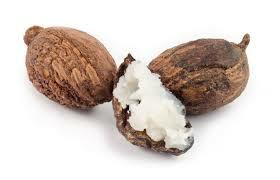 Shea Butter has a naturally occurring latex that places a ‘active seal,’ on your skin. the moisture of your skin is sealed in while the shea butter protects your skin from outside environmental factors, such as dirt and pollution. Shea butter also provides LIGHT protection from the sun, and works with your sunscreen, by moisturising and protecting your skin from absorbing the sun screen. Babies should not be exposed to the sun for more than ten minutes at a time. You can even use Shea Butter on your newborn baby. It nourishes and protects your baby’s bottom from nappy rash, or if your baby develops cradle cap, shea butter is the only cream you will need to soothe and heal this condition. Also your baby will enjoy having daily Shea massages. One of the overlooked benefits of using Coconut oil and Shea Butter in your baby care routine is you can incorporate both into your own beauty routine. 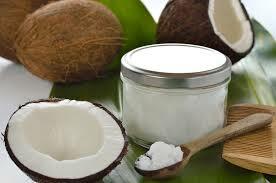 Coconut oil is so multipurpose you can use it as a healthy fat for cooking, as a skin oil, a hair treatment masque, as a makeup remover and for cleansing. Investing in a tub of coconut oil will benefit your baby/child as well as being the most economic health and beauty overhaul you could make this year. There are countless uses for Shea Butter. It can even be used before your baby is born due to its healing properties as a treatment for stretch marks. 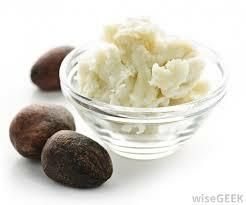 Shea Butter can be used as a treatment for dry skin and relieves itching immediately. 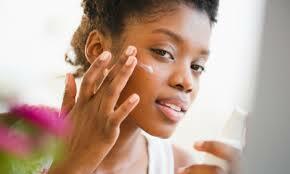 It can heal a number of skin complaints including blemishes, wrinkles, skin rashes and peeling as well as sunburn. Shea Butter can also be used to treat minor skin wounds, rough or cracker skin, frost bite and insect bites. The wonder cream is even known to treat muscle fatigue, aches and tension so it is worth applying before strenuous exercise. These are just a few of the reasons to use Shea Butter. More Scared New Mum Coming Soon….. I remember the baby bath days fondly. Now our three boys barely fit in the tub together! We were lucky enough to have very few nappy rashes, perhaps because we used cloth nappies. Coconut oil would be great on the skin, added bonus is that it smells great! Hope the family is all doing well. I love this new extension of your blog Emma, it’s clear that you’ve been learning a ton as a new momma! I’ve used both shea butter and coconut oil and I think they’re both wonderful. So nice to know that they’re good to use for little ones as well 🙂 Hope that all is well with you!